First off, it's not a rye. Second, it's not good. Sit down. You’re going to need to digest this. 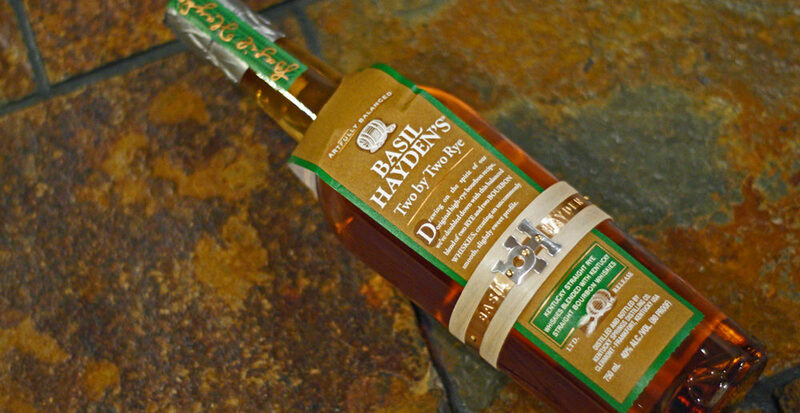 Remember Basil Hayden’s Dark Rye? Yeah, unfortunately, so do we. 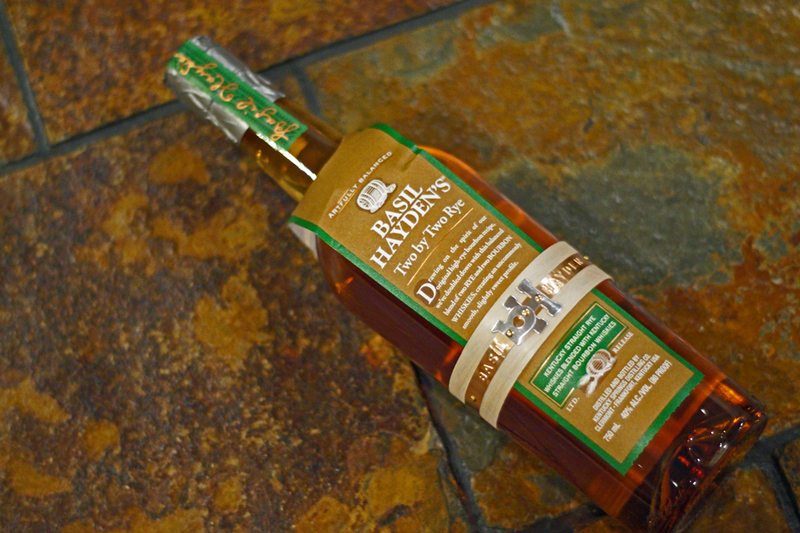 It was a strange blend of Kentucky Rye, Canadian Rye, and…Port? Yes Port wine. Look, there is no doubt that blending is an art, but two ryes and a port wine? What? Anyway, Two by Two is the 2018 release of another weird blend in the Basil Hayden’s lineup, though this one at least is all whiskey, and all Kentucky whiskey, to boot. You know that old saying: Fool me once, shame on me. Fool me twice… Yeah, I’m a glutton for punishment, so I picked up the new Two by Two. As is tradition, this was poured into a boston round bottle, numbered, added to my “pending reviews” stash of around 18 bottles, and drawn randomly to taste and rate. So as I drank this, I didn’t know what it was until after I’d jotted down my notes and scores and I looked up the number on the bottle. 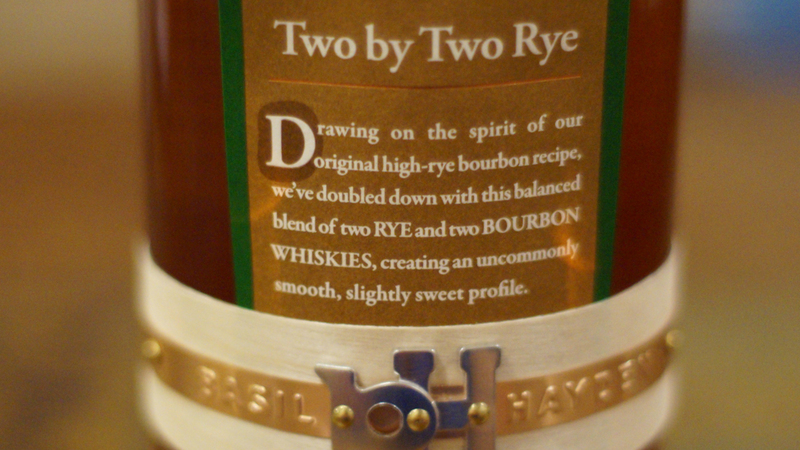 Basil Hayden’s Two by Two rye is a blend of two Kentucky rye whiskeys and two Kentucky Bourbon whiskeys (likely the standard high rye Jim Beam mash bill used for Basil Hayden’s and Old Grad-Dad and standard Jim Beam.) It’s not aged stated though the blend below shows it to be a 5 year old whiskey. 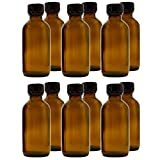 Like all Basil Hayden’s it is bottled at 80 proof. 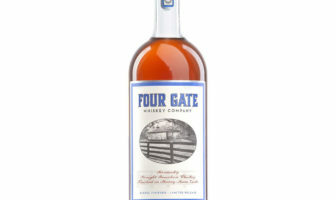 That makes this a “Bourye,” not a Rye or Bourbon. I paid $39.99. I’m going to type my notes exactly as I wrote them. Bubble gum, peanuts, and that weird citrusy-syrupy stuff in canned fruit. (seriously, that’s what my notes said). Very light on the palate, fresh sawn oak, black pepper, sawdust, cinnamon, and wet cardboard. Very thin mouthfeel. Short, bitter, yeasty, tannic. Notes of old musty newspaper. Gotta be Beam. Judging by my notes, I think it’s safe to say I didn’t like this. 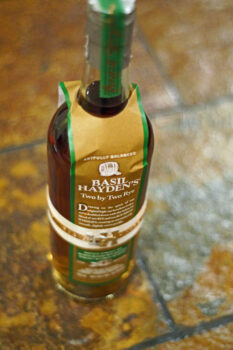 Frankly, if you’d told me it was a $12 bottle of blended whiskey, I’d have believed you. It’s kind of off-putting, especially the finish. Look, I get it that blending is an art, and Beam is certainly trying to push the envelope with this release, as they did with Dark Rye in 2017. But like that 2017 release, this should never have left the lab when tasting. It’s kind of nasty. And it’s really weak, which allows that yeasty cardboard flavor to dominate in lieu of any good barrel notes or even bourbon flavors. 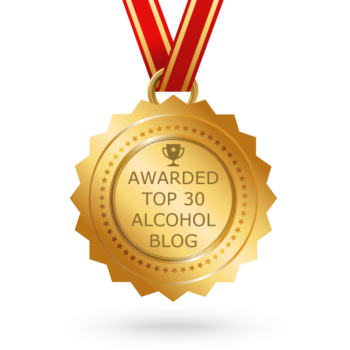 The older whiskey in this needed to take on a larger percentage than it did. It needed to be un-chill filtered, and at a much stronger proof to offset that weird mustiness. 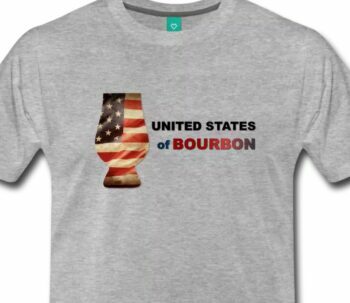 I don’t know who is doing the blending for Jim Beam these days, but they need to go back to the drawing board. Jim Beam has FANTASTIC whiskey aging in their warehouses, and this frankly just doesn’t do it justice. My biggest question is, why 78? Generally, something I rated a 78 would fall within the range of pretty above average, but not great. The dichotomy between the score and all the negative things you said in this review puzzles me. 78 is “low quality, flawed” by our scoring system. You can read about the scoring system by clicking here.